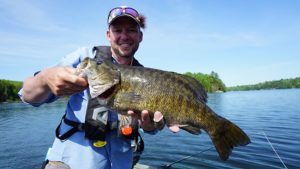 For those who love to catch big smallmouth bass on topwater flies, you should consider Branch’s Seine River Lodge near the town of Atikokan, Northwestern Ontario. 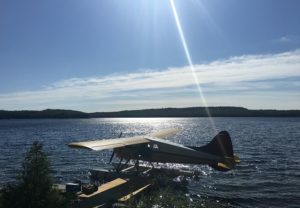 Just a few hours from the Canadian-American border at Fort Francis, this drive-to lodge is located on Banning Lake, the centre of the Seine River chain of lakes. 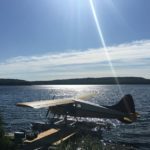 Right from the lodge you have water-access to 5 lakes and 30 miles of terrific fishing without ever having to leave your boat. 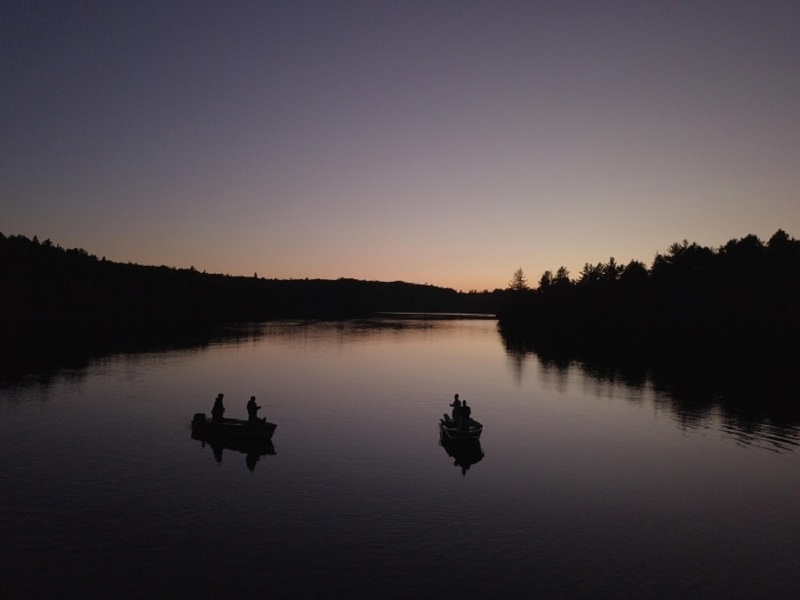 The area has exceptional access to walleye and pike fishing. But what people from all over come for are the smallmouth bass. 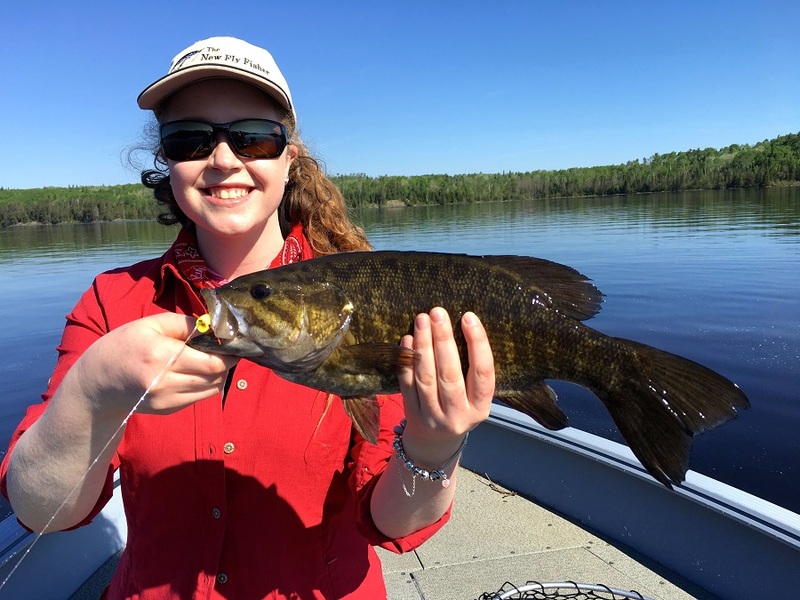 The smallmouth here are large and aggressive with 15- to 18-inch specimens being the average. 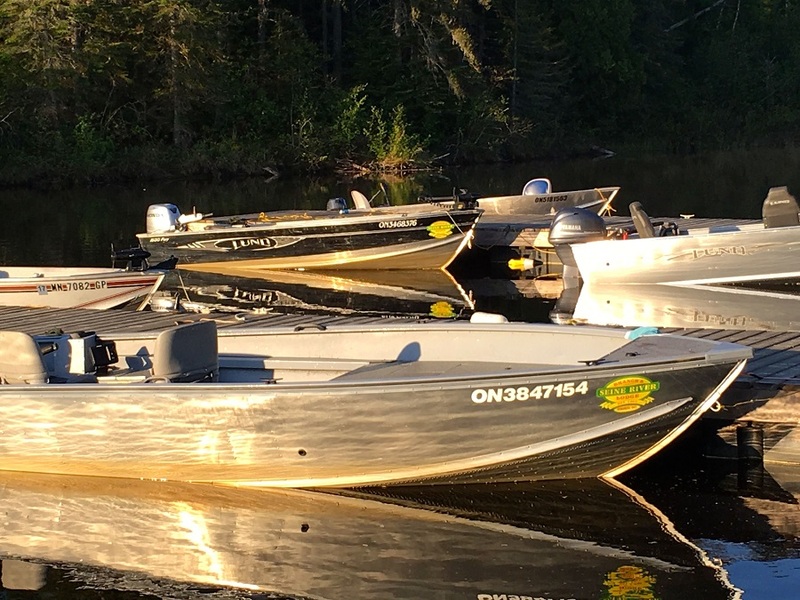 The lodge has great boats for fly fishers with wide bottoms and good casting decks. 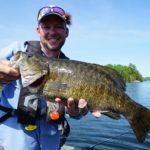 Additionally, the lodge has guides available who can be hired for a day or two to show you the best hot-spots and techniques for catching smallmouth. Branch’s Seine River Lodge has both housekeeping and full American plans to meet your needs. The lodge also has brand new cabins that are large and spacious with plenty of room for your equipment. 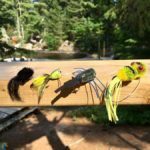 The bass hold tight to the banks and near structures such as beaver lodges, fallen trees and rocky points. Casting medium sized poppers in various colours close to bank edges can produce some spectacular results. Based on the mood of the fish, we recommend you experiment with retrieve speeds and styles to find what works. 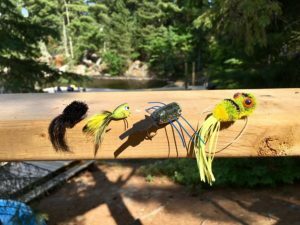 If bass are not taking on top, then cast to the drop-offs with sink-tips or weighted flies. 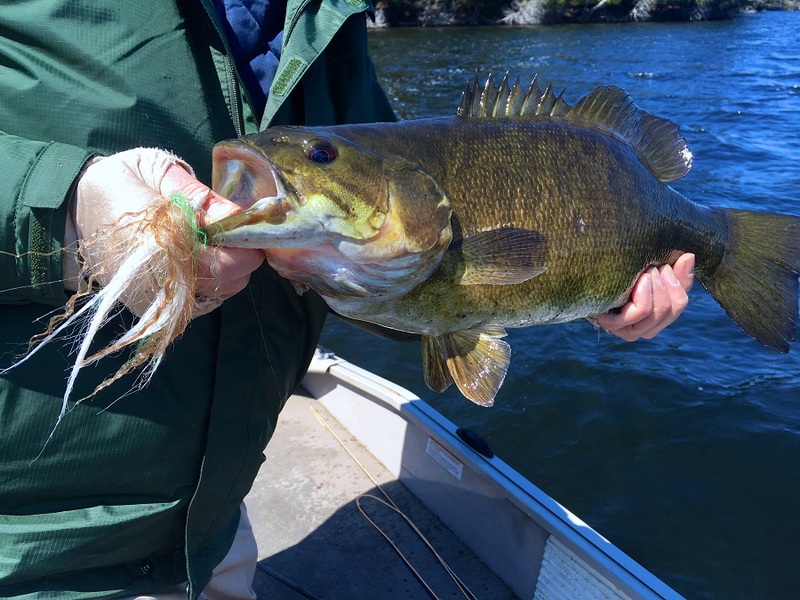 We recommend you bring six or seven weight rods in 9-foot lengths with fast-actions to cast to the bass. 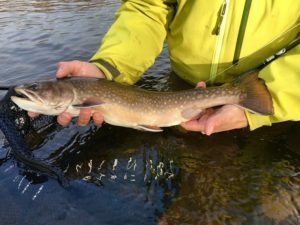 Leaders should be eight to nine feet in length tapered down to 3x or 8-pound test tippets. For flies we found yellow, orange, green and black poppers worked exceptionally well. The black poppers were best on overcast days or near dark. Size 6 or 8 poppers were the best. 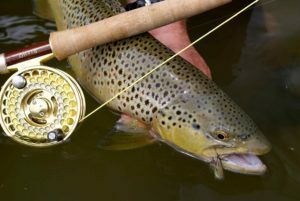 If you need to use streamers on the edges, then try woolly buggers in tan, black or medium brown. White zonkers or Murdich Minnows worked well on sink-tip lines. 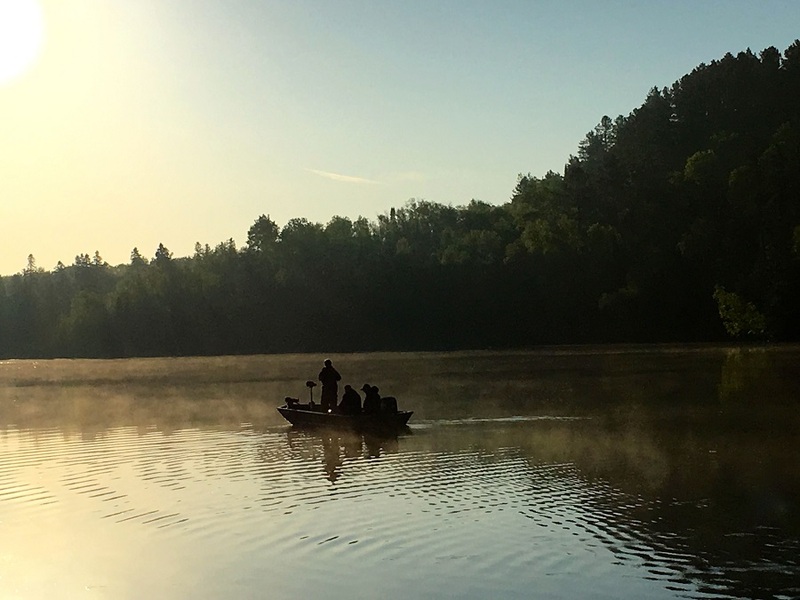 Branch’s Seine River Lodge is a fantastic drive-to fishing destination that offers great fishing for topwater bass at very affordable pricing. We strongly recommend you give them a call!